I had so much fun designing her room! I started with the paint colors and just went from there. 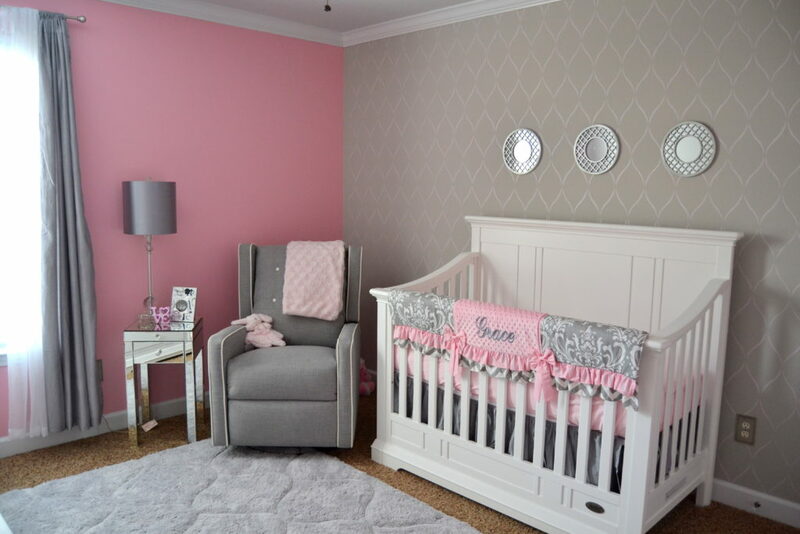 I stenciled the wall (took me about 4 days) behind the crib and it was easier than I thought. We replaced the knobs on the dresser to glass knobs instead of the standard white ones. I painted the monogram above the dresser pink as it came as a plain wood. The bow organizer on the back of the door I made myself. I took some large clothespins and used command strips to attach to the door. I used a wired silver ribbon from Michael's and some smaller clothespins to hold the headbands.